The Associated Press may have told the collective media who dies in Fantastic Four #587. The Fantastic Four was first introduced in August 1961 by Stan Lee and Jack Kirby.If you don’t want to know then stop reading or just wait for next weeks pow (Pick of The Week) to find what the ComicImpact staff has to say about this death. 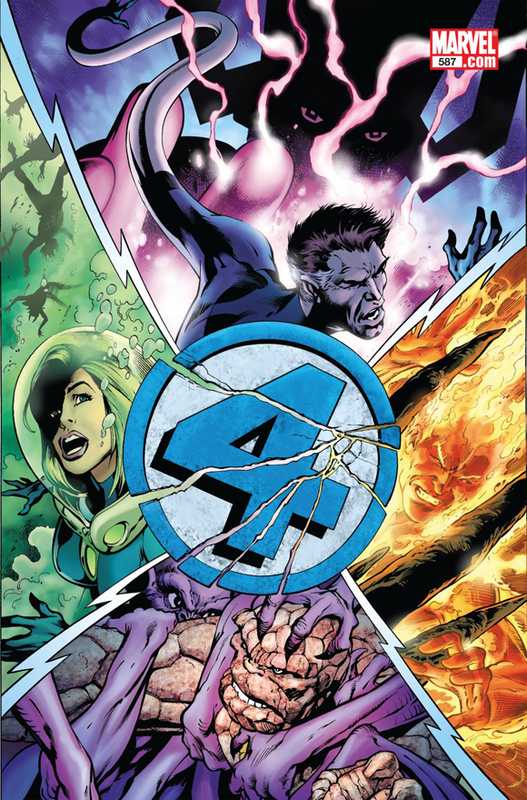 Tom Brevoort, senior vice president for publishing at Marvel told The Associated Press “588 is the final issue of the Fantastic Four. Beyond that, we’re not ready to say exactly what we’re doing. There won’t be an issue 589.”The member of the Fantastic Four will is no more is Johnny Storm akaThe Human Torch. ComicImpact readers what do you think of this death for Marvel’s first family when do you think this character will be back in comics? I think sometime around 2012.Let us know on Facebook or Twitter and make sure to stay tune to ComicImpact for all your comic news as will be talking more about the death of this member of the Fantastic Four in the upcoming week.